"I just wanted to write to say thanks for everything you guys at Audition Oracle have done for me over the past year and looking forward to the rest of this year. The vast majority of my opera work for both 2017 and 2018 has been from auditons advertised on the website and I massively appreciate how clear and easy to use it is." 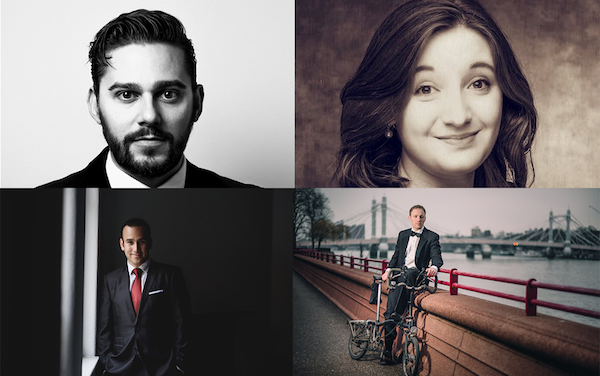 Apply now for your chance to join the four current winners of our Singers' Preparation Award! Every month for 2018, a singer will be chosen and awarded a prize of £300 worth of support to aid with their personal preparation and development as a classical singer. This month we are very grateful to Norman Cooley from Acting for opera as he has donated two free 1-to-1 session (worth £75) for two different singers to work with him on audition success. For many, auditions remain a stumbling block. This is an excellent chance to do something about this and work intensively with Norman, leaving with practical tools that can aid you in your next audition. One singer will also receive a free copy of Norman's book Acting for Opera book to help with your preparation. If you would like help from Norman with this aspect of your audition preparation, remember to include this in your application. Our final award for this month goes to baritone David Jones to help realise his project Song Cycle. This fundraising initiative will raise money for the incredible Live Music Now scheme. Live Music Now is a UK-wide initiative, created by Yehudi Menuhin and Ian Stoutzker in 1977. Every year, their musicians deliver thousands of interactive music programmes in care homes and hospitals, and a range of community and healthcare settings. They also work in special schools, where music can make a huge difference to the lives of children and their families. Their specialist support and training provides young musicians with skills and employment at the start of their professional careers, across all genres of music. First dreamed up by baritone David Jones while still a student, cycling through the streets of London, Song Cycle is a musical pilgrimage that marks the sixtieth anniversary of the death of Ralph Vaughan Williams. 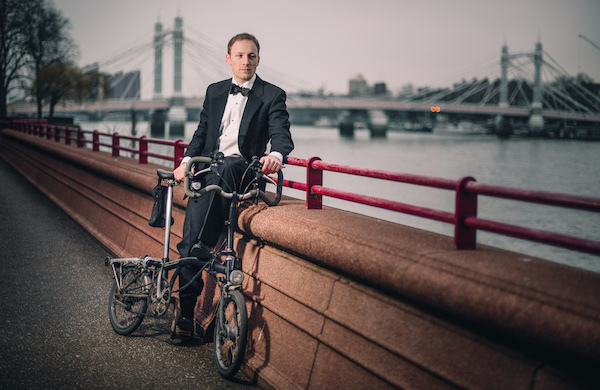 Travelling a thousand miles from John O' Groats to Land's End on his Brompton folding bike, David will give performances of Vaughan Williams's Songs of Travel along the way, seeking an ever deeper connection with the songs over the course of his journey. He will pass through the Scottish landscapes that inspired Robert Louis Stevenson, the poet of Songs of Travel, as well as the English ones that were so dear to Vaughan Williams himself. In homage to the composer's expeditions into the countryside to collect folksongs, David will pair the Songs of Travel with a selection of folksongs from along his chosen route. Song Cycle is raising money for the vital work of Yehudi Menuhin's charity Live Music Now, which works to bring live music to people that otherwise would not have access to it, with a focus on older people in residential homes and those living with a dementia. A prizewinner in the 2015 AESS Patricia Routledge English Song Competition, David Jones is equally at home in song, oratorio and opera. He has a particular interest in new music, and has given premieres of works by Nick Bicât, Stephen Deazley, Louis Mander and Josh Spear. Recent highlights have included Papageno in Die Zauberflöte and Guglielmo in Così fan tutte for the Lyric Opera Studio Weimar and Sharpless in Madam Butterfly for the King’s Head Theatre. 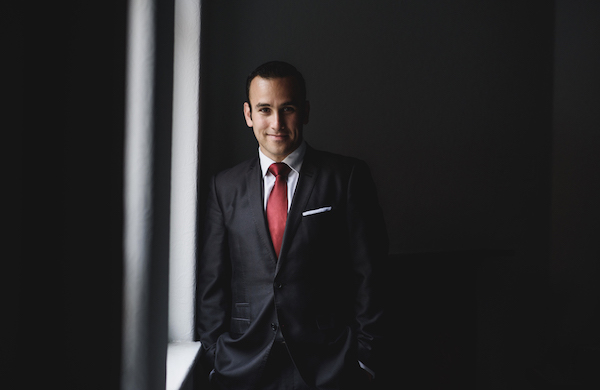 He toured the UK as part of Joshua Sofaer’s innovative Opera Helps project and is a soloist on Yehudi Menuhin’s Live Music Now scheme. With Teatime Opera he has broken new ground in Unknowing, an ambitious staged interweaving of Dichterliebe and Frauenliebe und -Leben in a new English translation by David Parry, which will receive more performances in late 2016. His recitals have included explorations of major song cycles by Finzi, Vaughan Williams and Schumann, alongside lesser-known works by Bliss and Sullivan, and he enjoys a fruitful ongoing collaboration with Cantata Dramatica, with whom he has given the first performances of four substantial works. On the opera stage he appeared as Ko-Ko in an acclaimed production of The Mikado with Co-Opera Co., in which "his deadpan sense of humour and immaculate timing proved irresistible" (Opera magazine) and his little list was "brilliantly delivered with hangdog deadpan" (Opera Now). Other operatic roles have included Jesus in Jonathan Harvey's Passion and Resurrection (Voices of London Festival), Edward VIII in the premiere of Josh Spear's That Woman (Tête-à-Tête Festival), Pritschitsch in The Merry Widow (Opera Danube) and Jamie in The Sleeper (world premiere with Welsh National Youth Opera). For Oxford Chamber Theatre he played Ariel in The Tempest and the title role in Hamlet. We are delighted that our second award this month courtesy of @operacabbie goes to the beautiful tenor Anthony Flaum. Anthony will use his £300 award to help prepare for two role debuts - Tybalt with Grange Park Opera and Pinkerton for Iford Arts. We are so pleased to see Anthony return to Iford Arts. He previously heard about an opportunity to audition for Rodolfo in La bohème via Audition Oracle and subsequently went on to be cast and perform with them in 2017. We are also pleased to support Anthony at this time as only a few days ago he and his wife Sophie welcomed their second daughter Corinne Rosa Bailey Flaum into the world. Many congratulations family Flaum! Anthony Flaum tenor is a graduate of the Royal Academy of Music (RAM) and the National Opera Studio. His studies were generously supported by English National Opera (ENO) & the John Wates Foundation. Credits; he made his debut at English National Opera in 2017 as Borsa in Jonathan Miller’s production of Rigoletto. Other roles for ENO include; Cover Prince/Marquis/Manservant Lulu, Cover David The Mastersingers of Nuremberg, Cover Nemorino The Elixir of Love. Other recent credits include; Rodolfo, La bohème (Iford Arts), Frederic The Pirates of Penzance & Nanki-Poo The Mikado (National G&S Company UK tour), Headstrong/Hermosa Opera della luna and Lensky Eugene Onegin (OperaUpClose). Other notable engagements include; Macduff Macbeth and the “Highlights Tour” (Scottish Opera); Nemorino L’elisir d’amore (Nevill Holt Opera and Northern Ireland Opera); Lensky Eugene Onegin, Tschekalinski The Queen of Spades & Motel Kamzoyl Fiddler on the Roof (Grange Park Opera). For OperaUpClose; Don Jose Carmen, Rodolfo La bohème (original Olivier award-winning cast) and Don Ottavio Don Giovanni, title role in UC Opera's production of Verdi's Aroldo (Theatre Royal Stratford East). He has also sung with various orchestras including the Royal Philharmonic Orchestra & the BBC Concert Orchestra at proms and galas, most notably at the BBC Proms 2015 in the Royal Albert Hall. Due to the generosity of the wonderful Opera Cabbie we are delighted to announce that this month there are not one but three x £300 Audition Oracle Singers’ Preparation Scholarships being awarded. We are delighted to announce that the first of these three £300 bursaries have been awarded to mezzo soprano Beth Margaret Taylor. Beth has chosen to work with international mezzo soprano Caitlin Hulcup on her forthcoming roles of Arnalta (L’incoronazione di Poppea, Monteverdi) with Longborough Festival Opera and Rosmira (Partenope, Handel) with Iford Arts Festival. Beth’s year doesn’t not stop there as she then goes on to sing Queen/Cuckoo/Cat (La Bella Dormente nel Bosco, Respighi) with Opera De Lyon. Beth will also represent the UK later this year at the International Vocal Competition s’Hertogenbosch (IVC) in the Netherlands. We look forward to catching up with Beth later in the year when she begins rehearsals. Until then, we hope you will enjoy listening to Beth’s mesmerising voice as much we did! Beth Margaret Taylor is in her final year of Postgraduate study at the Royal Conservatoire of Scotland, under the tutelage of Iain Paton. She graduated from the RCS in 2016 with First Class BMus Honours and was awarded the Florence Veitch Ibler Music Prize for Excellence in 2016. In 2012, Beth was the youngest graduate in the UK to be awarded a Diploma in Music and Humanities from the Open University. Beth has been received numerous awards towards her studies and professional development. She is a grateful recipient of the Help Musicians UK Fleming Award, a Help Musicians UK Maidment Scholarship in 2017 and is also kindly supported by the Countess of Munster Musical Trust and the South Square Trust. In competitions, Beth has won the prestigious Governor’s Recital Prize at RCS in April 2016, the Elgar Spedding Lieder and the Hugh S. Roberton Scottish Song Prizes in 2017. She will be representing the UK in 2018 at the International Vocal Competition s’Hertogenbosch (IVC) in the Netherlands. Beth has already shown immense potential and has collaborated with many of the UKs foremost professional musicians. She is a soloist and ensemble performer for the Dunedin Consort, Sestina, Genesis Sixteen, Kellie Consort and most recently, the Royal Scottish National Orchestra. Beth has performed chorus and soloist works in some of the World’s leading music festivals including the Edinburgh International Festival, the Hertfordshire Festival of Music, the New Generation Festival in Italy and the St Magnus Festival in Orkney. Her operatic roles include Constanza (L ’Isola Disabitata, Haydn), Aninna/Flora (La T raviata, V erdi), Olga (Eugene Onegin, Tchaikovsky) Ottone (Agrippina, Handel) and the Fox (Cunning Little Vixen, Janacek). Upcoming roles in 2018 include Arnalta (L’incoronazione di Poppea, Monteverdi) with Longborough Festival Opera, Rosmira (Partenope, Handel) with Iford Arts Festival and the Queen/Cuckoo/Cat (La Bella Dormente nel Bosco, Respighi) with Opera De Lyon. Beth has been fortunate enough to participate in masterclasses with renowned artists such as Sarah Connolly, Susan Graham, Sir Thomas Allen, Dame Emma Kirkby and Jennifer Larmore, whom she now receives further coaching with in Paris. 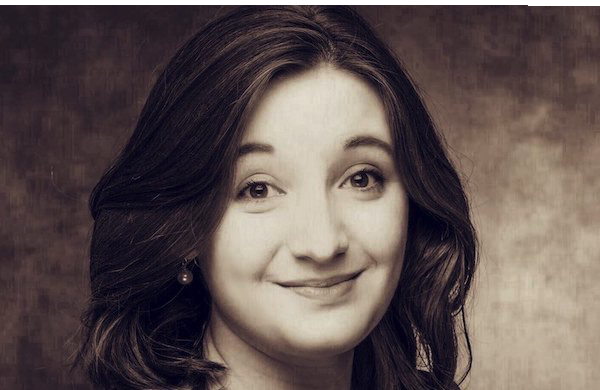 Beth has also been Glasgow's Under 26 Ambassador Representative for Scottish Opera since 2014, where her passion for opera helps to promote more young people to attend and appreciate operas throughout Scotland. She also has a great interest in the field of ASN music education and outreach work. She was appointed vocal tutor with the Paragon Ensemble in 2014 as a music facilitator for young people with complex additional support needs.